Since the announcement that the owners of beach bars on South Friars Bay in St. Kitts were told that they had to be out by the end of February, reaction has been strong. Many people I’ve spoken with oppose the move, seeing it as big money pushing its way into the natural habitat and classic island vibe that this area currently represents. “Big business is buying up land that established and iconic bars and nature are settled in and are trying to quickly get rid of on St. Kitts. These businesses and nature have become the heart of the feel and experience of the island. Would love for the St. Kitts Gov’t to back and support the LOCAL businesses to keep the island more natural and less commercial and industrial! As of the writing of this article, the brand new online petition had 435 signatures with an ultimate goal of 10,000. Whether or not they reach their goal, here’s to hoping some of our favorite beach bars on St. Kitts are still there for our return visit. It would be a shame to see the aerial view above disappear behind a mound of steel and concrete. You don’t know what you have got till it’s gone! Thanks Tom for spreading the word. The Beach bars on South Friars are small with most of them individually owned and each has its own vibe. The views of Nevis are great only to be outdone by the sunsets. Thanks for the comment, Joe. Well said! Maybe it’s time to consider leasmg of these lands ..instead of selling. It’s a shame that this pristine and beautiful beach is being sold to make way for another oversied luxury hotel. 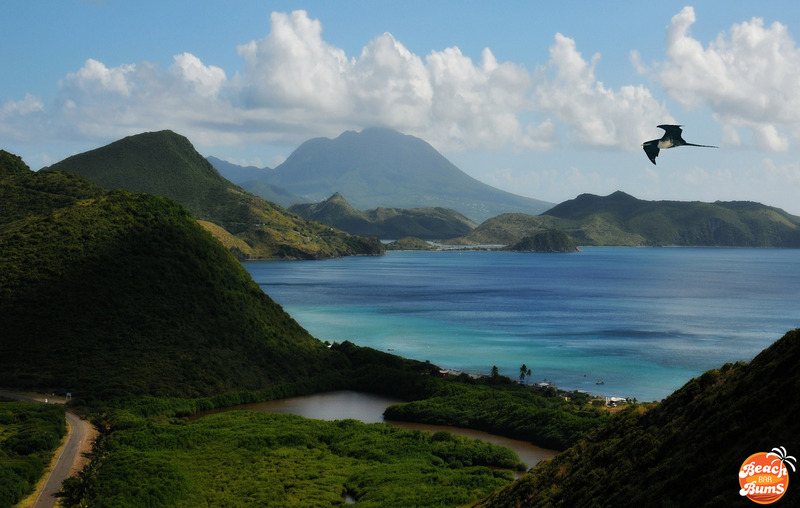 St Kitts stood out because it still had so many small local businesses and natural appeal. Now it seems it will be just another Americanized Caribbean island like the rest. That’s a great point, Jaclyn. St. Kitts reminds many people of the way the Caribbean used to be and South Friars is a prime example of that. Hopefully they can keep it that way! Stop developing St. Kitts. Keep it the beautiful Caribbean island we all loved. St Kitts has beautiful beaches, please leave it.that way! There is enough Miami style beaches, Cayman is ruined and I spent many years there but no more.